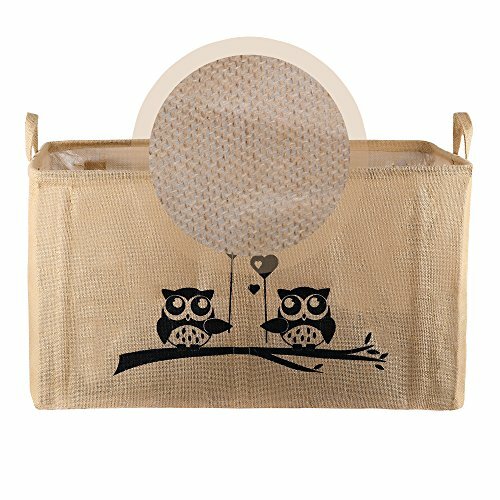 Gimars Jute Storage Basket Bin comes with X-Large size 26" L x 15" W x 15" H, great storage solution for kids toys, dogs toys, baby diapers, books, clothes and blankets, fit perfect in the cabinet and closet. 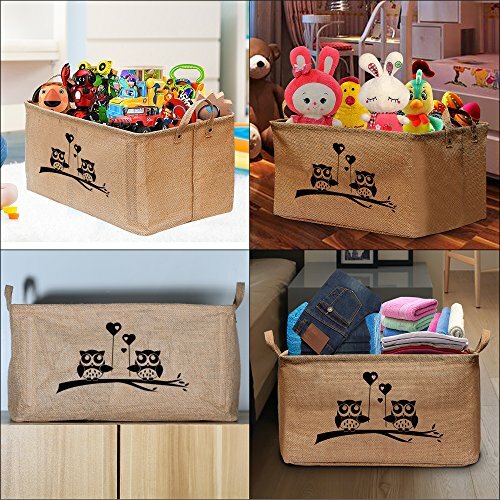 Keeps everything nice and organized, looks great in any room. Perfect size & super light weight makes it wonderfully transportable. Upgrade Well Standing-comes with 8 pcs plastic inserts along the sides to keep the sides upright. 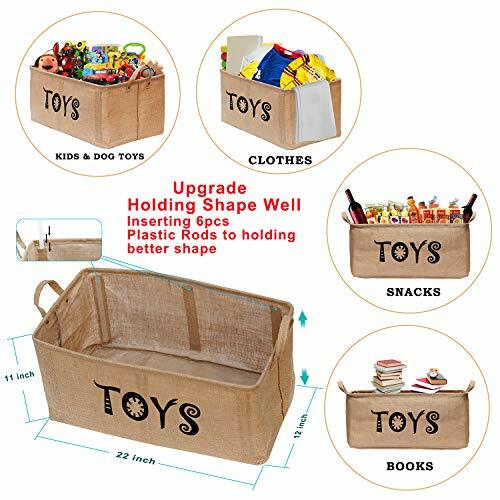 Sturdy Construction-the main structure is a metal rod around the top rim of the basket,sturdy and hold its shape. Firm handles- handles on both sides make it easy to carry from room to room. Nice Jute Material-make it durable and not easily ripped or punctured. 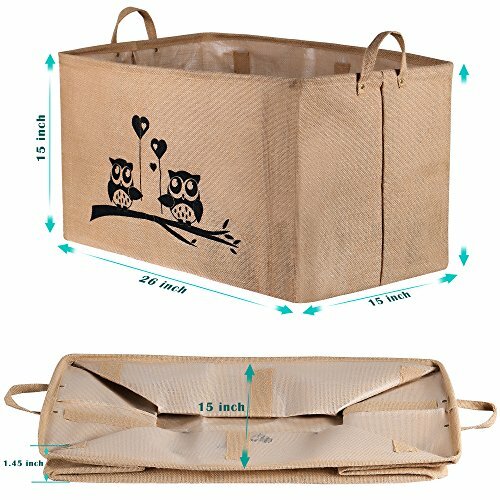 Lightweight and Collapsible- it could fold to 1.5'' in height, neatly for storage when not in use. 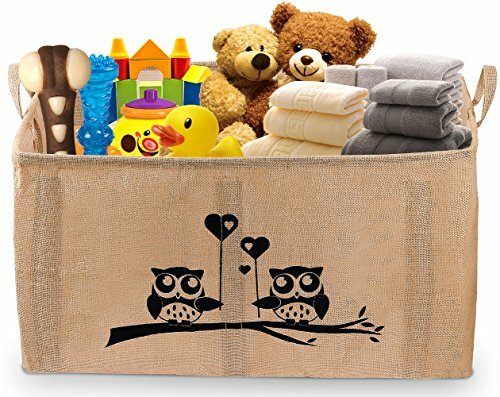 Unique and Cute Design-keeps baby's toy mess manageable, easy for children to get all toys out. Risk Free Purchase - 100% Satisfaction Money Back Guarantee. Click on the 'add to cart', NOW!